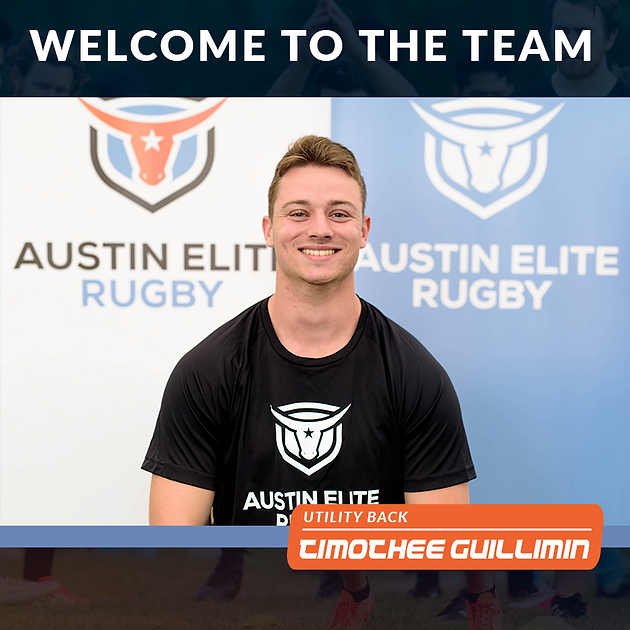 Austin Elite Rugby Management announces the signing of Timothée Guillimin as a utility back for the 2018 Major League Rugby season. Tim has deep rugby background beginning from the age of 6. At only 21 years old, he has already played in the European Challenge Cup game with Agen, as well as the French National U18 and U16 teams. He joined the Austin Huns and helped take them to a national championship in 2016. Tim attended high schools College Capouchiné and Lycée Jean Moulin. He also attended college at both UFR STAPS Montpellier and DUT GACO Agen. At 5’10” and 195lbs, he brings considerable rugby IQ to the team with his experience as a flyhalf. As a foodie, he loves French, American, and Italian food, wishing he could enjoy more of it while putting his training first. "